We, humans, possess innate “immune systems” that protect our bodies from illness and injury. It is like an inherent “healing power” that, not only prevents infection from bacteria and viruses but also removes foreign substances such as chemicals and phagocytizes tumor cells such as cancer cells, which is “a power” of protecting the body. In the past, it was said that “the empirical fact that one never be infected again after once infected” is immunity. Furthermore, recently, “all the cellular/humoral responses that identify what is and what is not oneself and exclude what is not oneself” are called immunity in a comprehensive way. A cancer cell is originated from “your own” cell. Cancers are caused by chemical substances or ultraviolet rays etc., which induce mutations in a cell and destroy or mutate a part of genes, or by a virus infection, or by the combination of these factors. At present, due to the advances in the gene analysis technology, many cancer genes, and cancer suppressor genes are found, and an attempt has been made to treat cancers by controlling these genes themselves or by controlling the expression of these genes. However, at present, it is not possible to cure all cancers because cancer cells are originated from “own” cells, and they have been escaped from the immune elimination system for many years, and also, because cancers are induced by various causes. Therefore, studies on the gene therapy using cancer suppressor genes and studies on the cell therapy using immune cells (lymphocytes etc.) are currently in progress. As you know, blood flows through blood vessels in our body, but do you know that there is another liquid flowing system through another tubing system? This lymph fluid is a colorless transparent liquid, which is a sort of leukocyte that constitutes blood. And its cellular component, lymphocytes, are playing a role in the body’s immune system. A flow of lymph fluid that contains lymphocytes is; seeps out from the capillaries, becomes the tissue fluid of the body, flows through the lymph or blood vessels, and finally, be sent to veins. In other words, lymph fluid is a one-way flow from the end to the center of the body, which plays a central role in the immune system that humans naturally possess. The lymph system is composed of “lymph fluid,” “lymph vessel,” and “lymph node (lymph gland),” and is functioning to protect the body from pathogenic bacteria and foreign matters that enter into the body. This disease is, like leukemia, a type of cancer of the blood, and it often develops in lymph nodes, tonsils, spleens, and also, in organs that contain lymphoid tissues such as thyroids, digestive systems, and mammary glands. At present, three major therapies, i.e., surgery, radiation therapy, and chemotherapy (anticancer drug therapy) are employed for cancers. And what it is called “the fourth therapy” is immunotherapy. Of course, it does not mean that every cancer can cure using these methods, and it is important to select and combine these methods by taking advantage of the characteristics of each treatment. Surgery is a method that resects cancer lesions by using a scalpel. Surgery is a very effective way to treat early cancers, but the disease cancer is known to exhibit a phenomenon called “metastasis,” which cancer cells migrate to various places in the whole body via entering the blood and lymph and reproliferate at the next destinations. If this metastasis occurs, surgical resection is not applicable. Radiation therapy is a method that kills cancer cells by using radiation that specially developed for the cancer treatment. The disadvantage of this method is that it also kills normal cells around the cancer cells and appears as a side effect. However, recently, improvements have been made to this therapy, and a technique to concentrate the radiation only to cancer legions has been developed. Currently, therapeutic effects comparable to surgery are obtained for the treatments of some cancers such as head and neck cancer and cervical cancer. However, this radiation therapy is also helpless against metastasized cancer. Anticancer drug therapy is a method to treated by administering a drug that is toxic to proliferating cells. However, this therapy also exhibits toxicity to normal cells, especially to rapidly proliferating leukocytes, hair root cells, and gastrointestinal epithelial cells, etc., and appear as side effects. Although the reality is that there are not much survival benefits in spite of severe side effects, significant therapeutical effectiveness has been shown for myeloid leukemia and malignant lymphoma etc. to treat cancer by using your own immune power. In other words, it is an advanced cancer treatment method with little adverse effect; the cells responsible for immunity in the body are mass cultivated outside the body to increase immunity and then returning them back into the body to let them attack the cancer cells to treat the disease. Until recently, the so-called three major therapies, i.e., “surgery,” “radiation therapy,” and “chemotherapy (anticancer drug therapy)” were the well-known cancer treatment methods. Although each of these treatments can expect a certain extent of therapeutic effects, these treatments were very painful due to the strong side effects and the huge burden on the body. In particular, in the case of advanced cancer or terminal cancer, there were some cases that rather life was shortened by the side effects of large doses of anticancer drugs and radiation. Accordingly, immune cell therapy is showing promise as the fourth cancer treatment method. Immunotherapy is an ideal cancer treatment method that is body-friendly and has no side effect and is attracting an attention as “a cutting-edge cancer treatment method” because it improves impaired immune to activate the immune function, and eliminates bacteria, viruses, and tumors etc. that invaded the body. “Cancer cells” are often thought to be something very horrifying heterogeneous cells, but actually, 3,000 to 5,000 of cancer cells are produced each day in the body of a healthy person. And in the case of a healthy body, the immunity system in the body is properly monitoring the movement of cancer cells (abnormal cells) and prevents them from generating and growing. In other words, as far as the body’s defense system called “immunity” is properly functioning, cancer will not proceed. However, if the immunity system is impaired by some kind of trigger, and the defense system is no longer functioning, cancer cells will proliferate, and the disease “cancer” will surely progress. Once the immunity system impaired, the conventional defense system loses the ability to definitely attack cancer cells. So that “strengthening the immune system” becomes important. Cancer cells can be extinguished by increasing the immune cells and by strengthening the immunity system in the body. And the immune cells mainly used to attack the malignant tumors are NK cells (natural killer cells) and T lymphocytes (cytotoxic T cells). NK cells are one of the immune cells belonging to lymphocytes and are called “natural killer (NK) cells” because of their inherent ability to kill foreign enemies. NK cells act widely in the body, and when they detect abnormal cells such as cancer cells or virus-infected cells, they will be the first to attack them on their own. These solo-acting and quick-acting characteristics are the most important features of NK cells. Other immune cells such as T cells (T lymphocytes) and B cells (B lymphocytes) also attack against abnormal cells such as cancer and virus, but they act by constructing the immune system together with helper T cells etc. via antigen-antibody reactions. Because they attack against what they have recognized as abnormal cells in the past, reaction speeds are limited. In contrast, NK cells can flexibly attack abnormal cells directly and freely because antigen-antibody reactions are not involved. In other words, among the immune cells that attack cancer cells, NK cells are superior in the ability and are very important for us human beings. What is NK Cell Therapy? 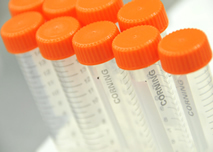 NK Cell Therapy is a treatment method as follows; collecting about 40 to 60 cc of blood from a patient, proliferating and activating by using the latest cultivating technique, proliferating NK cells to 1.5 to 3 billion cells in a sterile condition for about 2 weeks, and returning them back to the patient’s body. 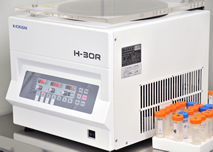 As for the detailed treatment method; firstly, NK cells are isolated from the withdrawn blood. The isolated NK cells are proliferated and activated by using interleukin-2 (a substance discovered as a T cell growth factor) that is a kind of cytokines (substances produced by monocyte lineage cells such as lymphocytes and macrophages). 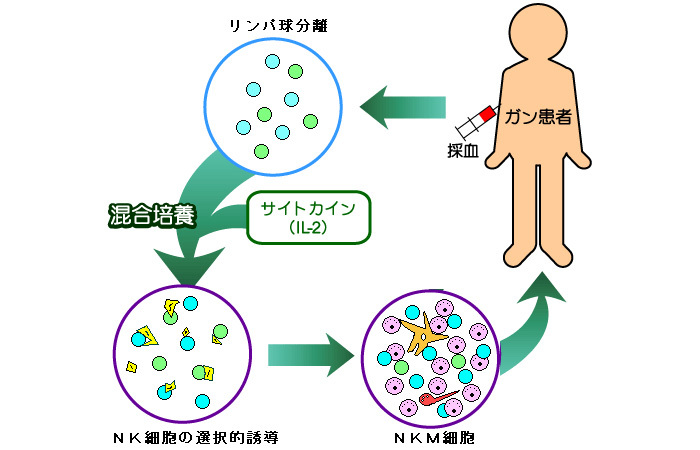 Finally, the amount of NK cells becomes about 1 billion after the 2-week cultivation period. This amount corresponds to about ten times of the amount of NK cells that the normal healthy person possess. This proliferated and activated NK cells are suspended in physiological saline and return back to the own body intravenously by drip infusion. Accordingly, the actual treatments are only the “blood withdrawal” to collect NK cells and the “infusion” to return back the proliferated and activated NK cells into the body. NK cell therapy has the following concrete features. Because the cultivation and activation are made to the NK cells collected from own blood, there is no worry of rejection and allergic reactions. In contrast to the anticancer drug therapy etc., which long hospitalization is unavoidable due to the strong side effects, NK Therapy has no side effects and has less physical and mental burden so that outpatient treatments are possible, indicating that one can concentrate on the treatment while maintaining the quality of life (QOL). Activation of NK cells is said to be highly effective against cancer recurrence and metastasis. In particular, when underwent surgery, there is a high risk that cancer cells will spread through the blood and lymph flow; accordingly, NK Cell Therapy is considered to be effective to prevent an occurrence of cancer from those spread cells. NKM Cell Therapy is an immunotherapy, which is a further evolved form of NK Cell Therapy. This is a treatment method that increases the immune power by proliferating more NK cells, and at the same time, mixing (M) T and B cells etc. and cultivating them all together, in order to attack cancer cells more strongly. In the case of NKM Cell Therapy, the number of cultured cells in a single dose is an astounding number of about 1.5 to 3 billion cells (including T, B, and dendritic cells etc). 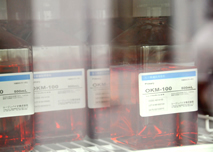 We conduct immunotherapy as follows; collecting about 40 to 60 cc of blood from a patient, stimulating and activating NKM cells by using the scientific cultivating technique, proliferating NK cells (including T, B, and dendritic cells etc) to 1.5 to 3 billion cells in a sterile condition for about 2 weeks, suspending them in physiological saline, and returning them back to the patient’s body intravenously. Copyright (C) 小田クリニック All Rights Reserved.